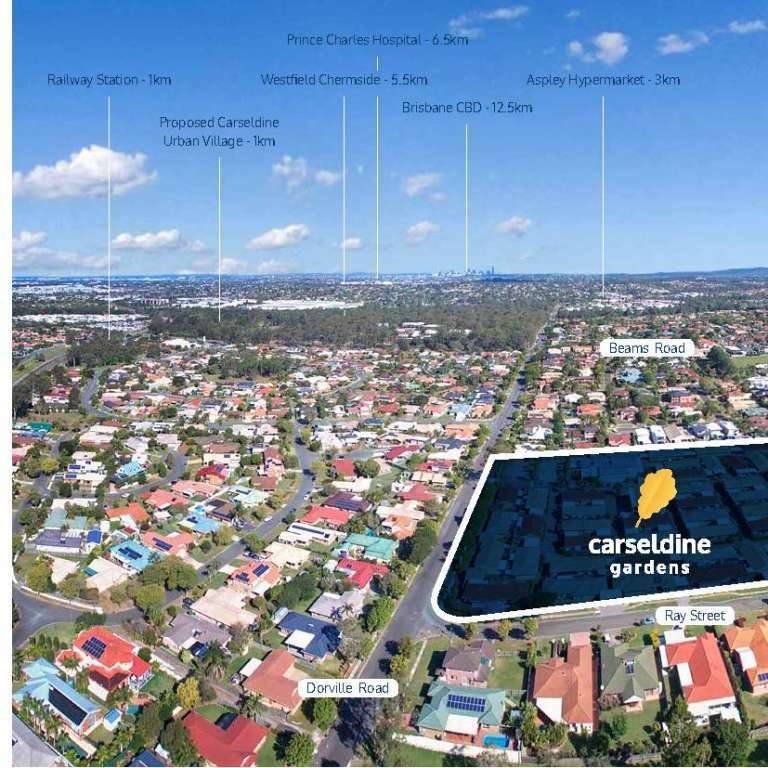 Carseldine Gardens presents a unique and proven investment opportunity in one of Brisbane’s most established suburbs, just 12.5km to the Brisbane CBD at a very affordable price. 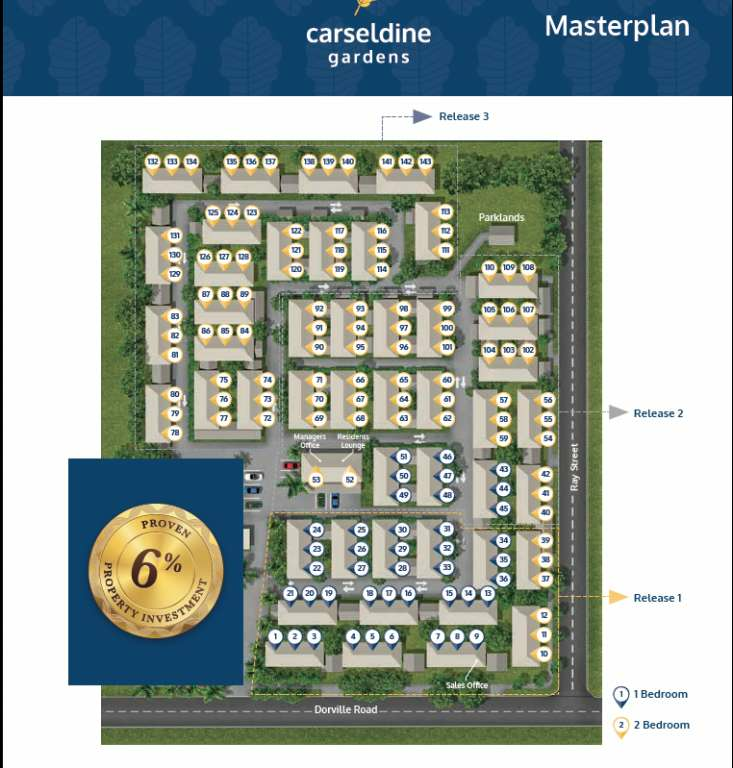 Carseldine Gardens features 143 One and Two bedroom villas, with tenants in place at an average yield above 6% with a long term rental history and a vacancy rate below 2%. 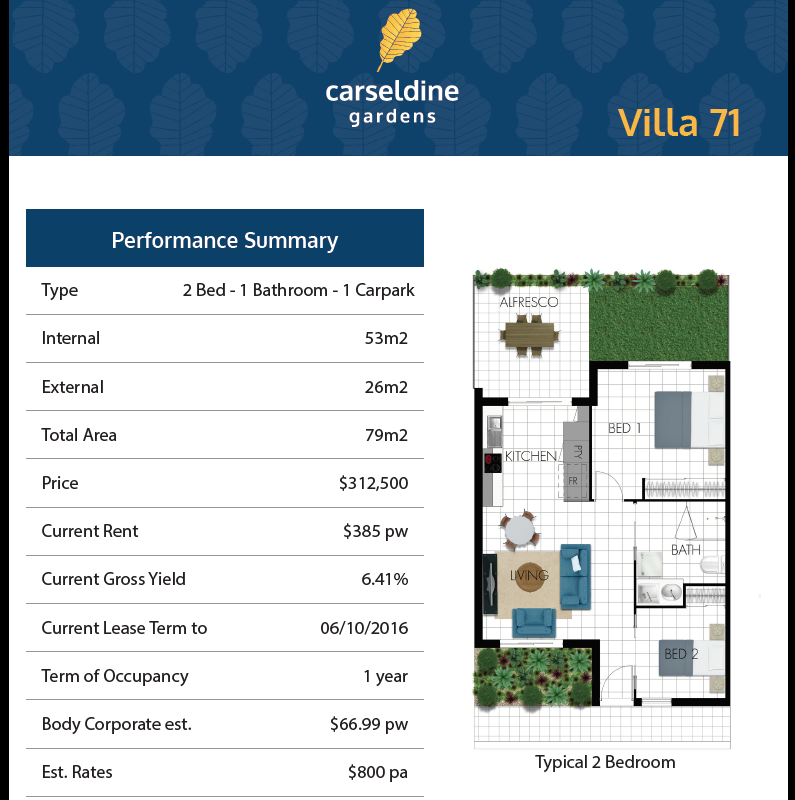 Each Carseldine Gardens villa is backed by its own unique performance summary - a document which details the tenancy history and exactly how much rent the villa will return for the investor. 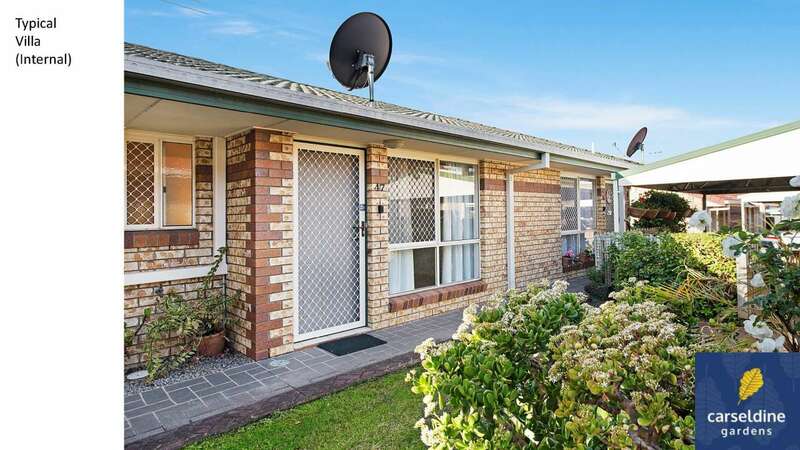 Nestled in a leafy suburban environment close to public transport, parks and shops. 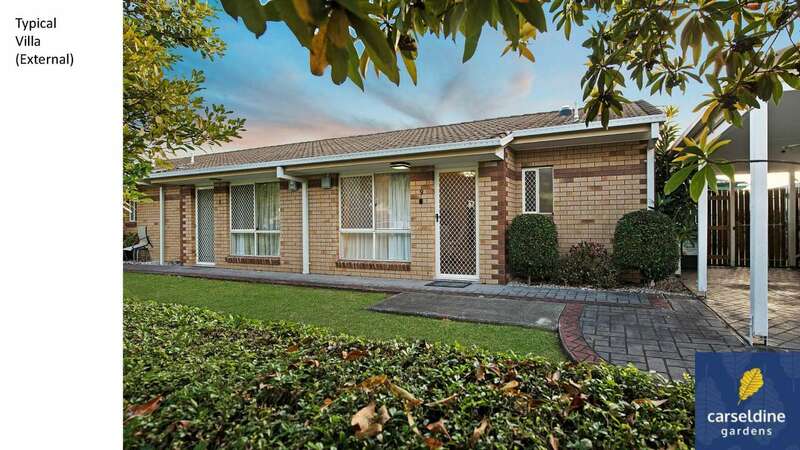 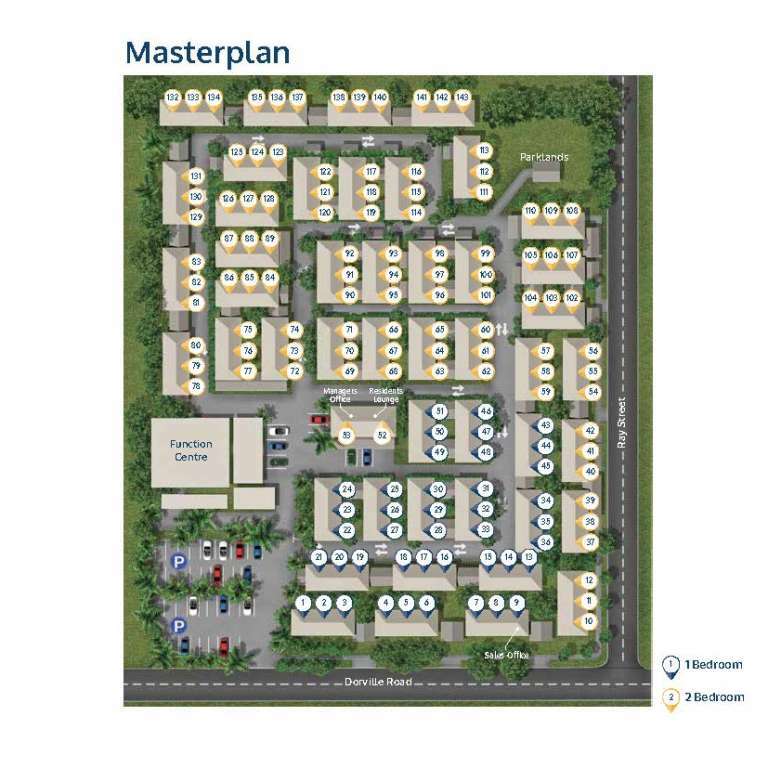 Carseldine Gardens is convenient to all the amenities you need. 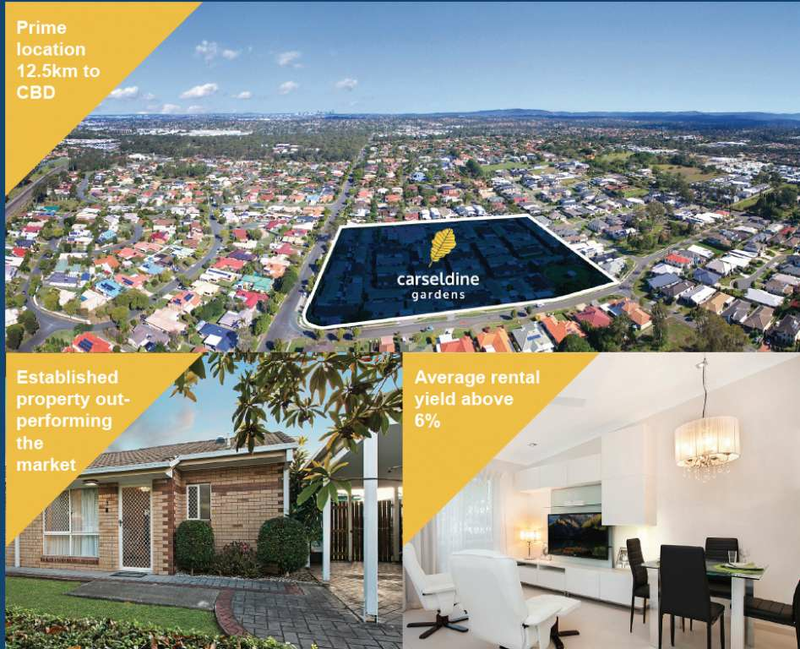 Shop at nearby Carseldine Central, or head to Westfield Chermside, Queensland’s largest retail centre. 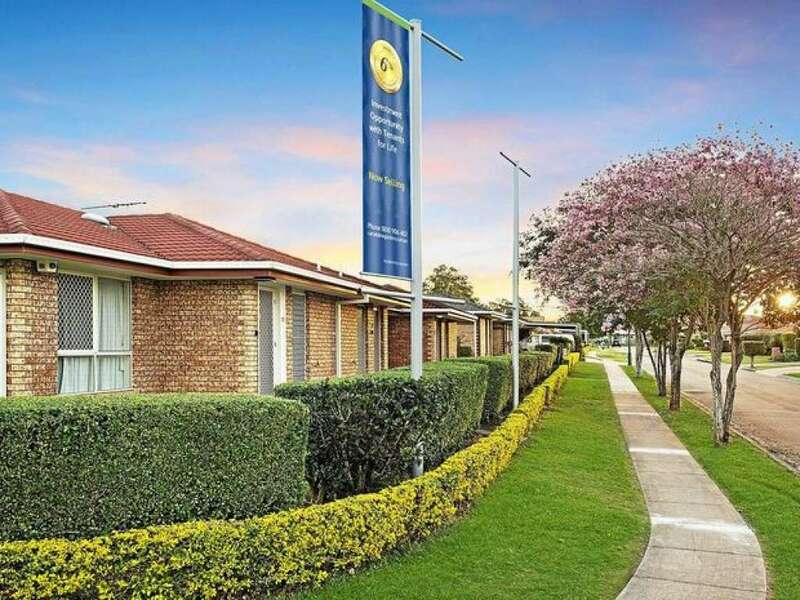 Local parks and walking trails connect the suburb with cafés and convenience shops, and Carseldine Rail Station is just 1km away.